Loving children and teaching them what it means to follow Jesus closely is a cherished value at Liberty Hill. We are privileged and excited to partner with you to teach your children about Jesus. 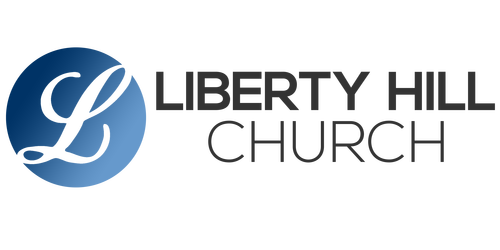 With classes and programs for children of all ages, you will find a safe and secure environment as we care for the spiritual growth of Liberty Hill kids! During our Sunday and Wednesday services we are blessed to have dedicated caregivers who enjoy sharing God’s love with your babies age birth – 23 months. 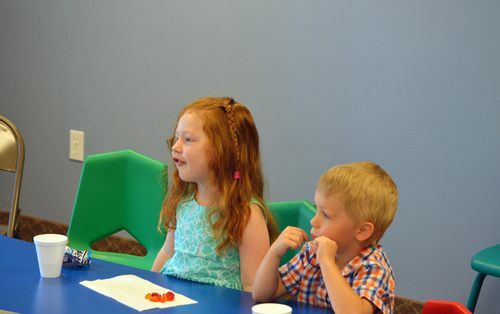 In our Tiny Tots classes, 2 and 3 year-olds will experience a variety of activities designed to strengthen and stimulate their physical, social, intellectual and spiritual growth. Classes for this age group are available for both the 9:00 AM and 10:30 AM Sunday morning worship services, and Wednesday evenings at 6:30 PM. Kid Church is for children ages 4 – 5th grade and is available every Sunday at 9:00 and 10:30 AM. 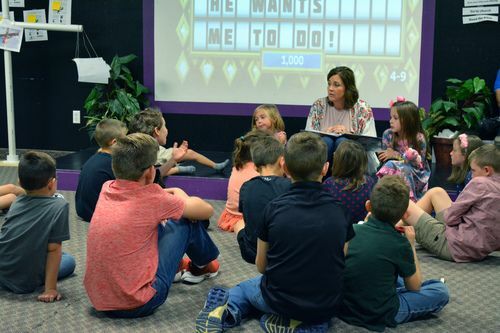 During Kid Church, we will take your children on a fun journey of biblical learning. Using lessons that are age appropriate, we will explore a new theme every 8 weeks keeping time in Kid Church fresh and fun! Kid Church begins with a collective worship experience before they are divided into age-appropriate, adult-led groups. Our next child dedication service will take place on Sunday, May 12. Please click on this link to provide information for you and your child if you would like to participate in this service. Have a question or need more info? Fill out the form and let us know!